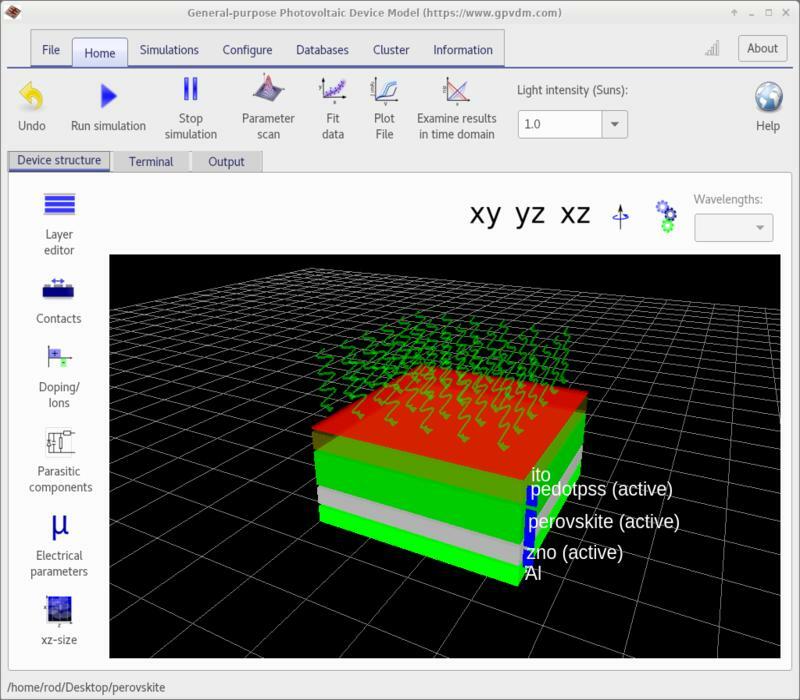 Simulating perovskite solar cells with gpvdm. 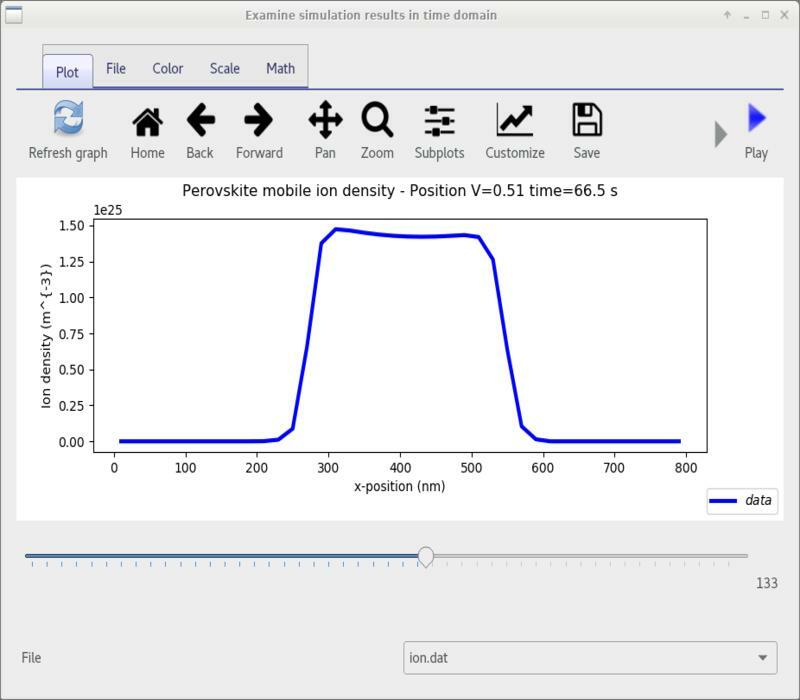 gpvdm contains the all the physical models needed to simulate Perovskite solar cells, including a mobile ion solver. 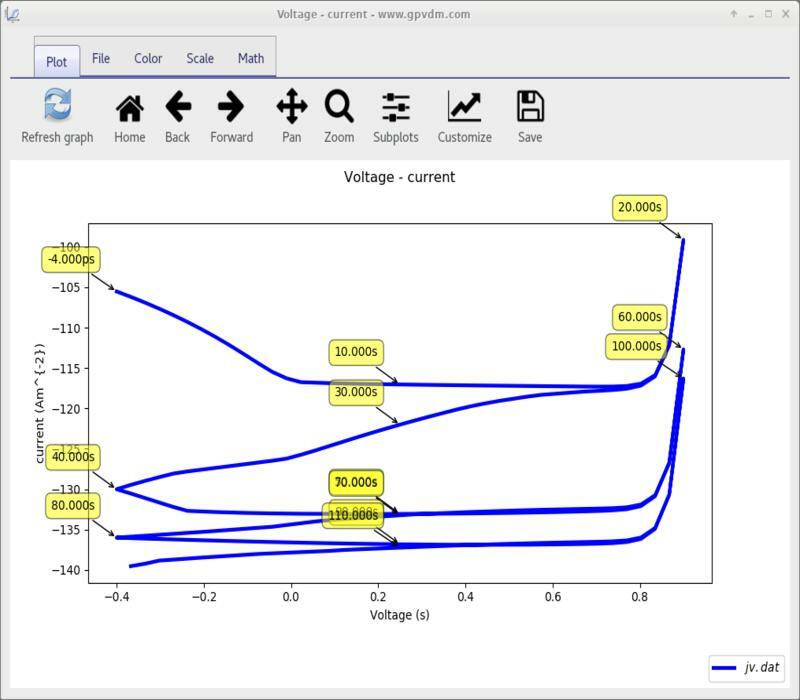 The model performs a full time domain simulation of the cell to perform voltage sweeps as they would be performed in a lab. The time between measurements and voltage sweeps can be varied so hysteresis effects can be studied. 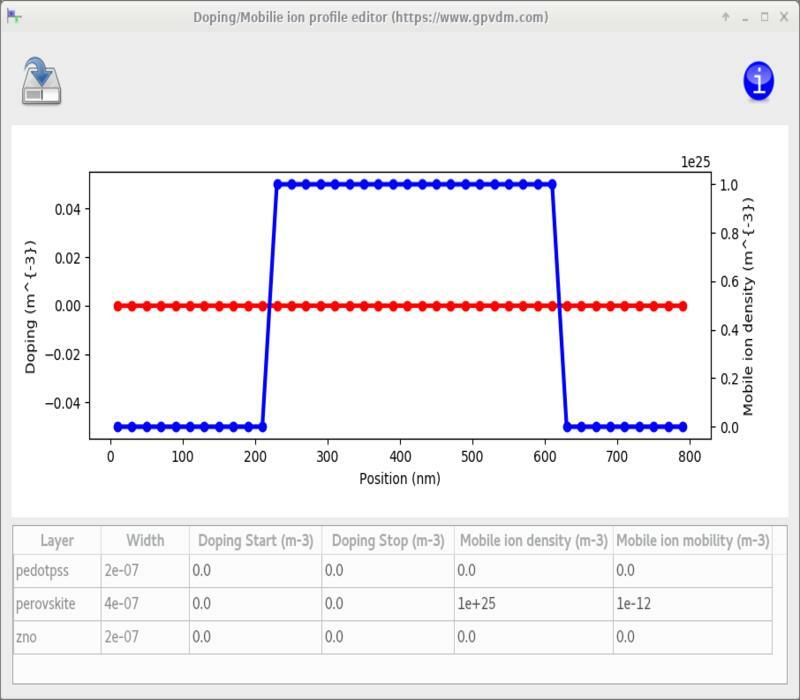 In this way the interaction of mobile ions, charge carriers and a varying external/optical field can be examined.